BRIGHTON, Mich. - While Ford has always been the number one pick for police cruisers across the country, the motor company is changing the game with a more fuel-efficient police car. This special service police sedan has in fact become the most fuel-efficient police vehicle in America! This police vehicle takes the durability and great looks of the current police sedan and combines them with a 2.0-liter EcoBoost engine. This engine allows the sedans to get an EPA-estimated rating of 20 mpg in the city, 30 mpg on the highway and 24 mpg combined. The impressive 30 mpg on the highway is the rating that has earned the Ford Special Service Police Sedan the title of most fuel-efficient police vehicle in the country. With this massive improvement upon fuel consumption, Ford has estimated that this fuel-efficient sedan will save police agencies hundreds of thousands of dollars. For example, let's take a fleet of 150 vehicles. 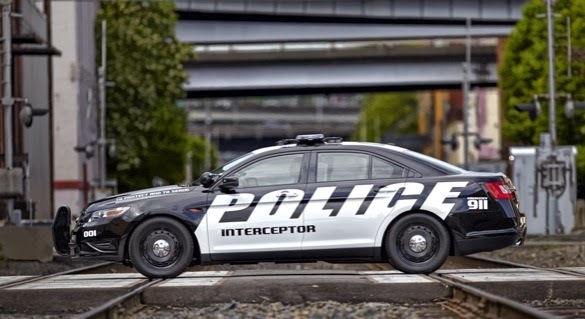 If they drive an average 30,000 mile per year and gas prices average $3.21 a gallon, it is estimated that this vehicle will save the police agency around $257,940 over the course of three years - amazing! One downside to the increased fuel-efficiency is that the vehicle does lose some of its power. However, this specific police sedan is designed to be used by detectives, administrators, or campus police - all drivers who may not need the get-up-and-go because their jobs don't entail chasing down lawbreakers. While you can't exactly test drive the Special Service Police Sedan, you can take an EcoBoost powered vehicle out for a spin! We have a great selection of Ford Cars For Sale - many of which have an EcoBoost engine option. So if you'd like to see how this fantastic engine can help you save on gas, come on by! We'd be more than happy to help you.